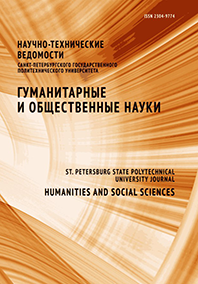 Sergey V. Kulik Krasnozhenova Elena E.
This article analyzes the food problem in the South of Russia during the Great Patriotic war. The means by which food was delivered to the region are described. The role of the state, the party and the trade union bodies in solving food problems has been highlighted. We have considered the difficulties that the state had to face, revealed their shortcomings and noted ways to eliminate these shortcomings. It is shown that financing with whatever remaining funds significantly reduced the efficiency of the implemented measures in supplying the civilian population. Limited food supplies which the state could provide were not sufficient to satisfy the needs of the people in full. In addition, the approach of the front to the South of Russia contributed to the worsening food problem. The Stalingrad region became a battleground in 1942, and the territory of North Caucasus was occupied by Nazi troops. Searching for additional sources of food supply became important in the war. The study presents the characteristics of the organization of markets, farms, individual and collective gardening in the South of Russia. It is shown that the creation of a local food base helped to avert mass starvation in the region.